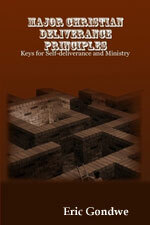 This chapter has grown into another book on deliverance and healing in spiritual areas. The book is titled Breaking Spiritual Strongholds and Healing the Wounded Spirit: Dealing with Root Causes. Below is the Table of Contents of chapters and sub-topics in the book with links to pages of its free online first edition. What are spiritual strongholds from a biblical perspective? What is a wounded spirit? How does deception work in people? What about a seared or burnt conscience? Can a Christian have a seared or burnt conscience? Chapter 11. Maintaining a Healthy Spirit and Embracing God's "Plan B"
What does God’s word say about our past sins and wrongs? What causes some people to sense, see, smell, or hear evil spirit beings?